1) Cooking. Austin has to be among the best cities to get the freshest ingredients to the dishes you are making. I frequent grocery stores HEB on 41st and Red River, Central Market on 38th and N. Lamar, and Whole Foods on 6th and N. Lamar, all of which are a 10-minute drive away from campus. I also go to the Austin Farmers’ Market downtown on Saturdays and at the Triangle on N. Lamar on Wednesdays. Local farmers from the Central Texas area sell fresh produce and other local products that you would not find elsewhere. Not only are their goods fresh, but they are fairly cheap, too! 2) Running. As Ally mentioned, Austin has a great running community and awesome trails to run. I do not even have to go off-campus to get a great running work out. The third floor of Gregory Gym has a running track that circles around the basketball and/or volleyball courts. Since the gym opens at 6 a.m. during weekdays on a regular semester, I usually run there early mornings before heading to my classes. There are also great trails around Austin such as the Town Lake Trail and the Lady Bird Lake hike and bike trail to run and explore! 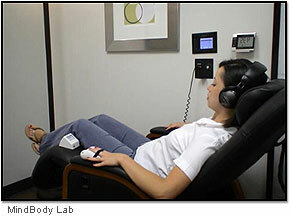 3) Going to the MindBody Lab. UT’s Counseling and Mental Health Center (CMHC) has been one of the most useful resources I have utilized as a student. When things feel too much to handle, I set an appointment with a counselor who gives me thoughtful and helpful advice on how I can manage my time and my life better. The CMHC also offers the MindBody Lab, which features audio and video instructions that guide you in various exercises: breathing exercises, muscle relaxation, meditation, guided imagery. The MindBody Lab can be crowded during the busiest weeks of the semester, so going there at non-peak times is recommended. No appointment is necessary, and it is very convenient to not have to go all the way to the beach or the mountains to relax. 4) Napping. When the MindBody Lab is full and I just need to take a quick nap, there are comfortable couches on various parts of the campus where I take naps. The places I frequent are the newly built Student Activity Center (SAC) and the Perry-Castañeda Library (PCL). 5) Dancing. When using the gym equipment or running feels a little mundane for me, I try to attend various dancing activities on campus. Texercise offers various dancing classes such as belly dancing, Zumba and hip-hop, all of which I have tried. Several UT organizations also offer dancing classes that you only need to pay a small registration fee at the beginning of each semester. Among the popular ones are: Longhorn Salsa that meets every Wednesdays from 7-9 pm; Texas Ballroom that offers instruction in various dance styles at different days and times during the week; University of Texas Argentine Tango Club that teaches Argentine Tango on Monday nights. These sure are fun dances to try and great workouts, too! So when things get stressful, don’t panic, UT and Austin will surely have the perfect remedies! I find that “riding” my spinning bike for about an hour with the mellowist music playing totally relaxes me. Not because I’m tired or drained just in peace.